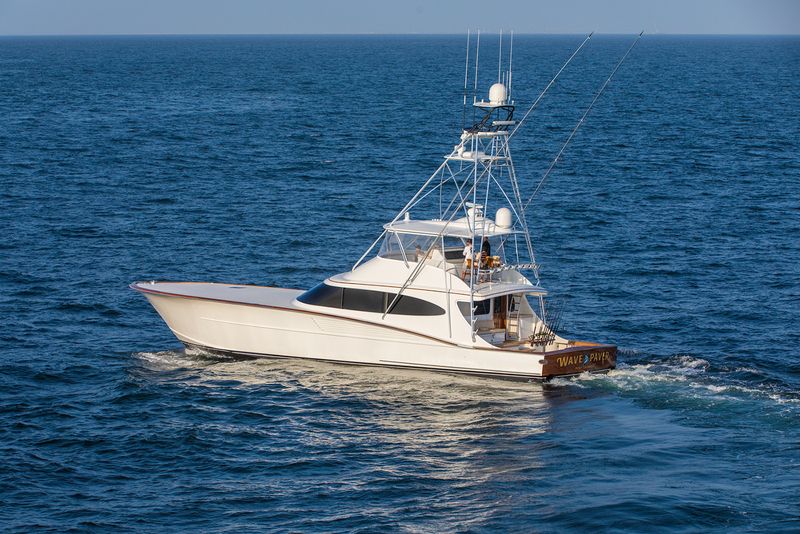 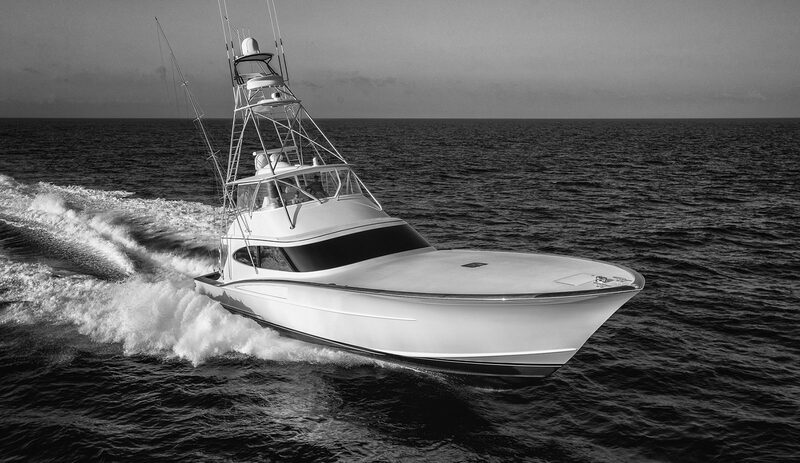 Built for owners that have run a long-standing and successful fishing program. 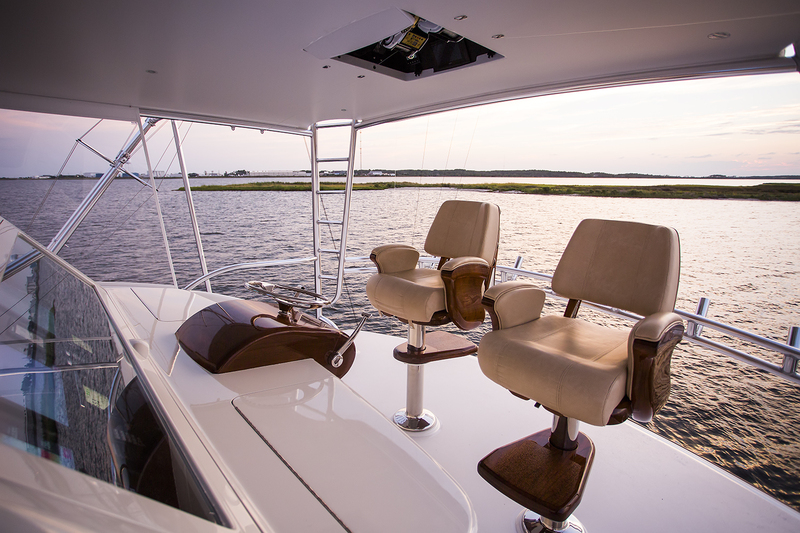 Wave Paver is assured to visit many fishing destinations, well-prepared. 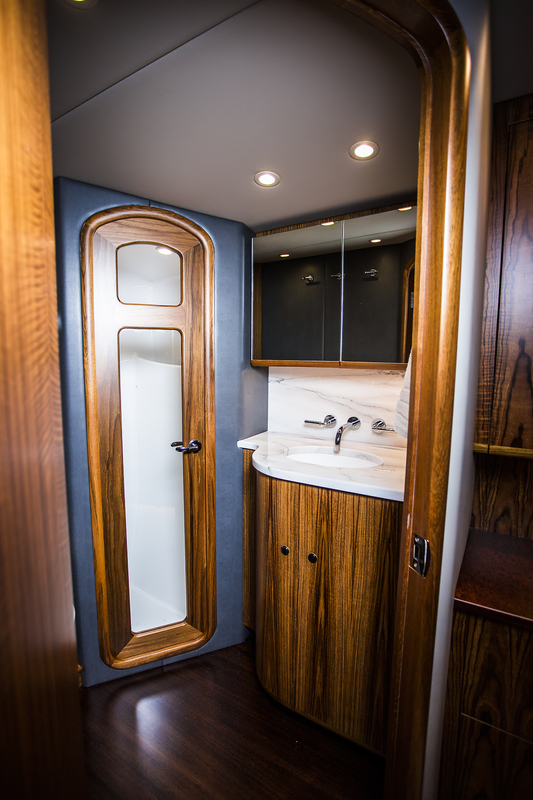 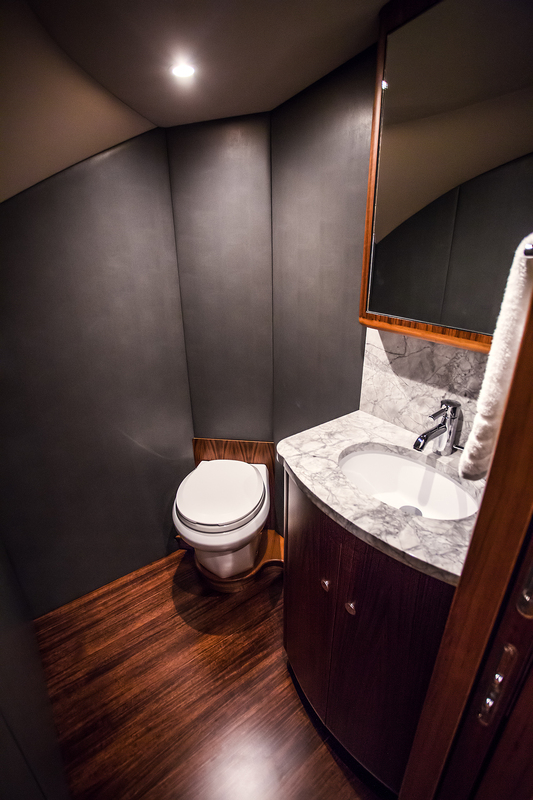 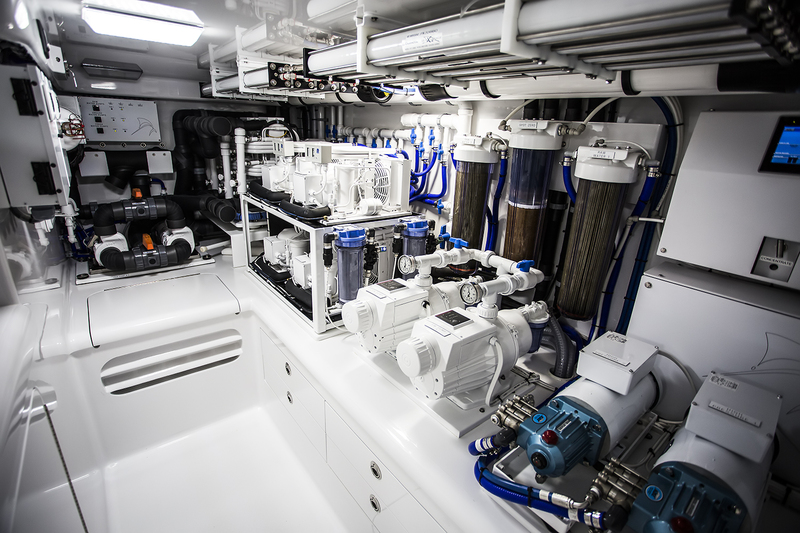 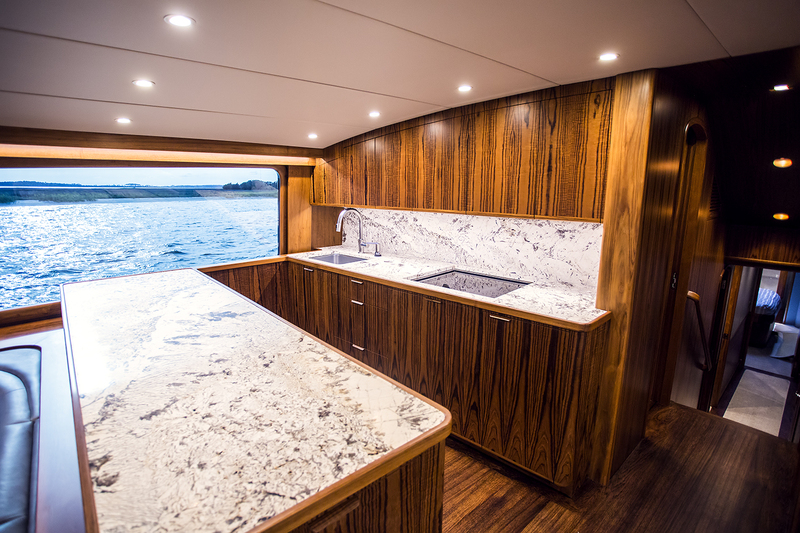 The four-stateroom/five-head layout, extensive refrigeration/freezer space, and spacious pump room layout (with redundant systems) makes Wave Paver ready to take on most any scenario. 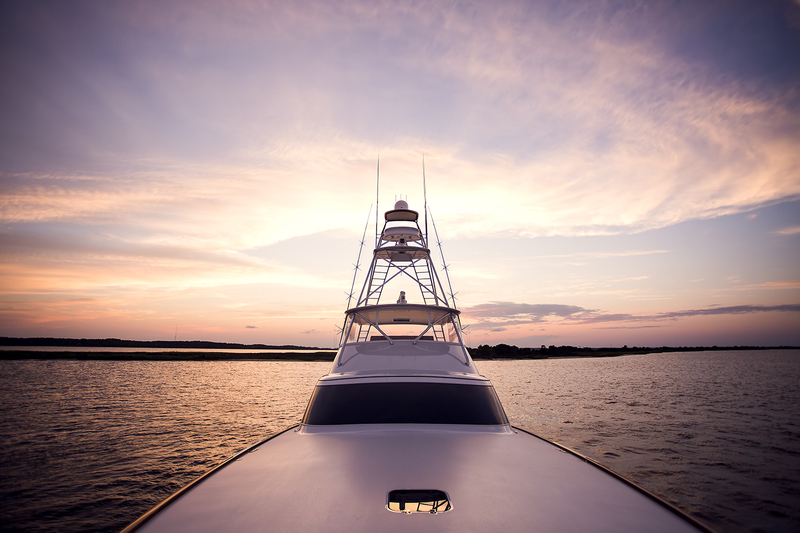 Extra: (2) Spot Zero Dockside Processors, (1) Seakeeper SHD 12 and (1) Seakeeper SHD 7. 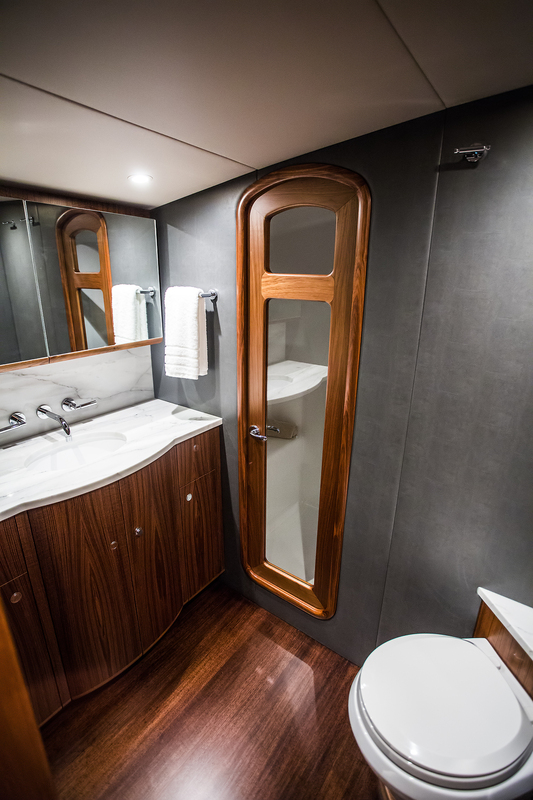 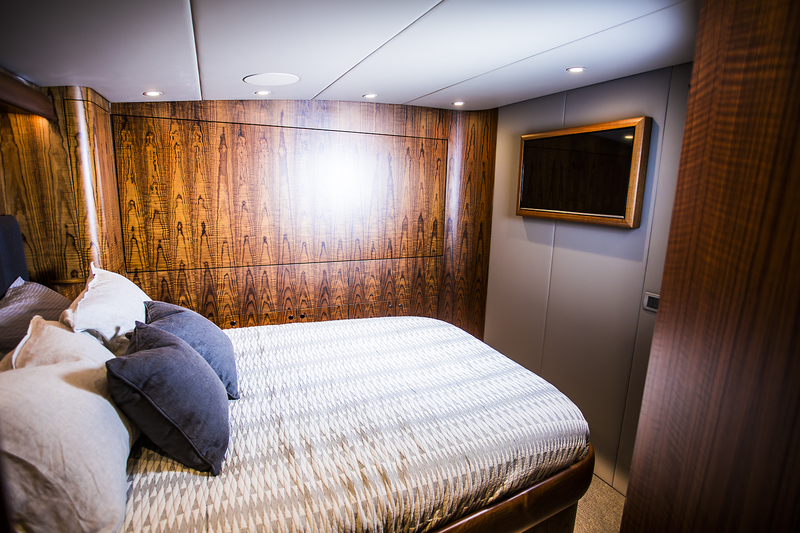 Accommodations: Four stateroom/four and a half head layout, salon, U-shaped sofa, fore and aft sofa (all with tackle storage below), Air-actuated TV lift, Galley, (3) Sub Zero under-counter refrigerator units, Wolf induction cooktop, Viking microwave/convection, Miele speed oven, Disposal, Dinette, Port pantry, Starboard forward day head Cockpit: Built in transom fish box, Live well, Tuna tubes, In-deck refrigerator/freezer, Lower mezzanine with three stainless refrigerator/freezer, Upper mezzanine with two suites of tackle drawers, Stainless grill, and chest freezer. 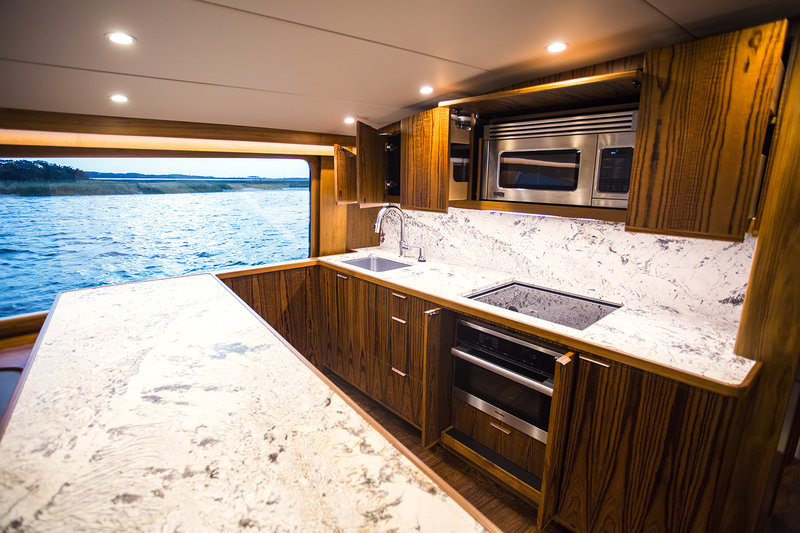 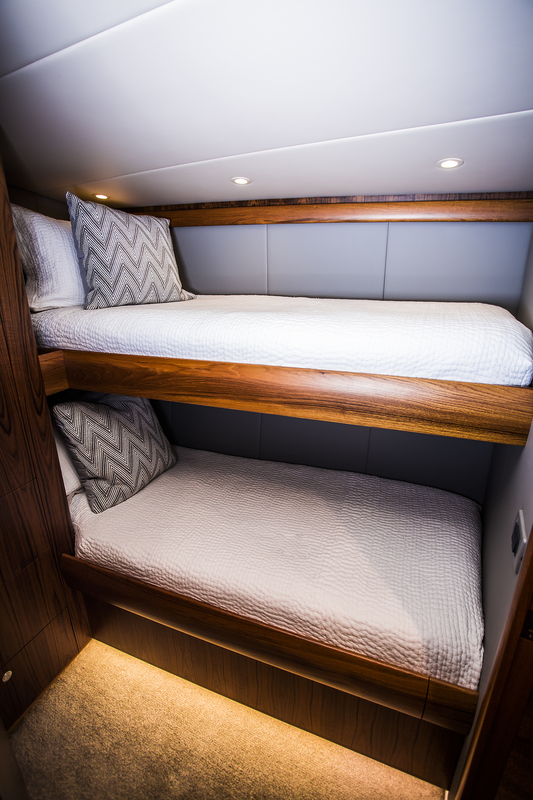 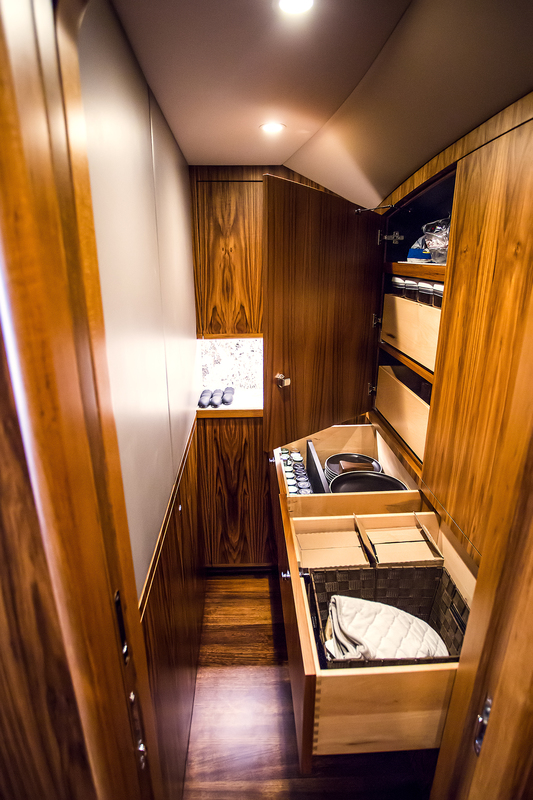 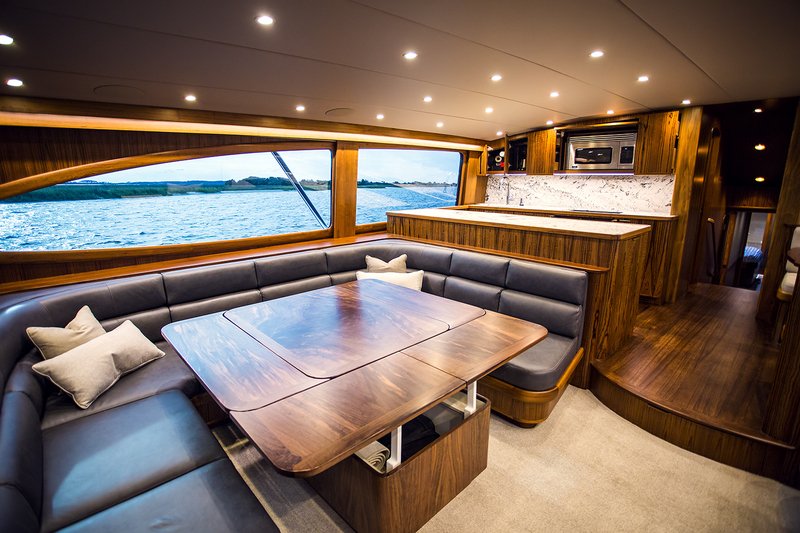 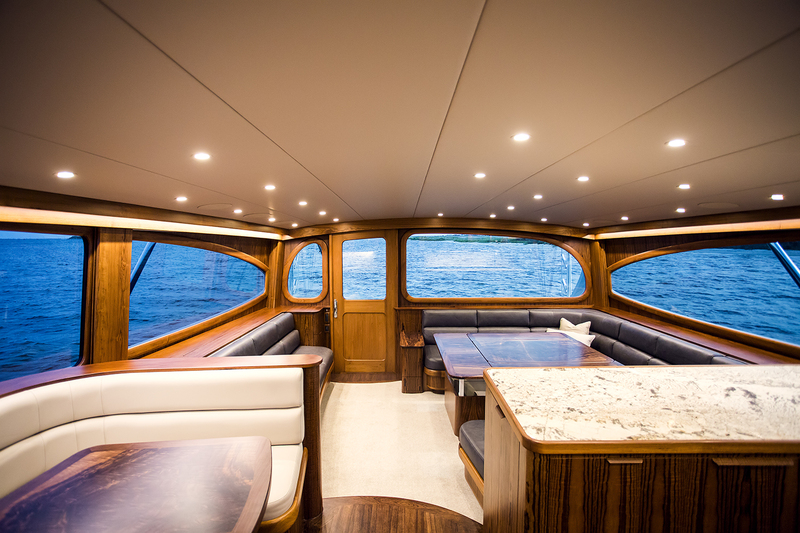 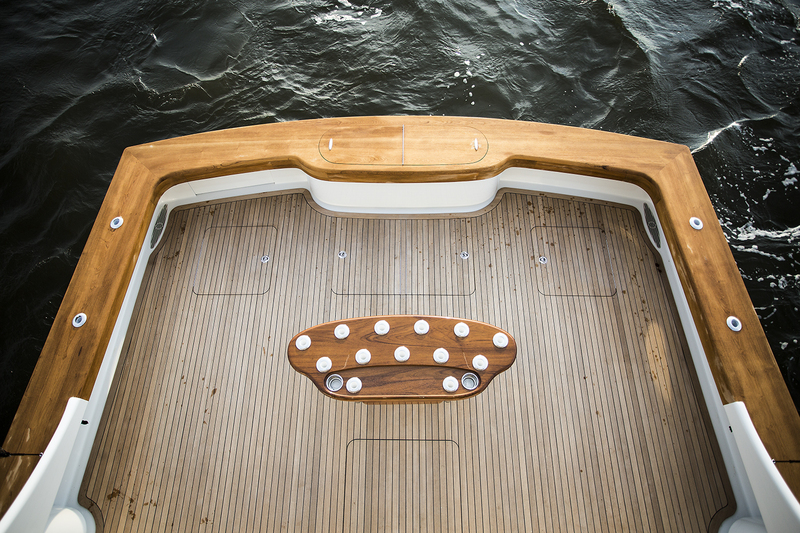 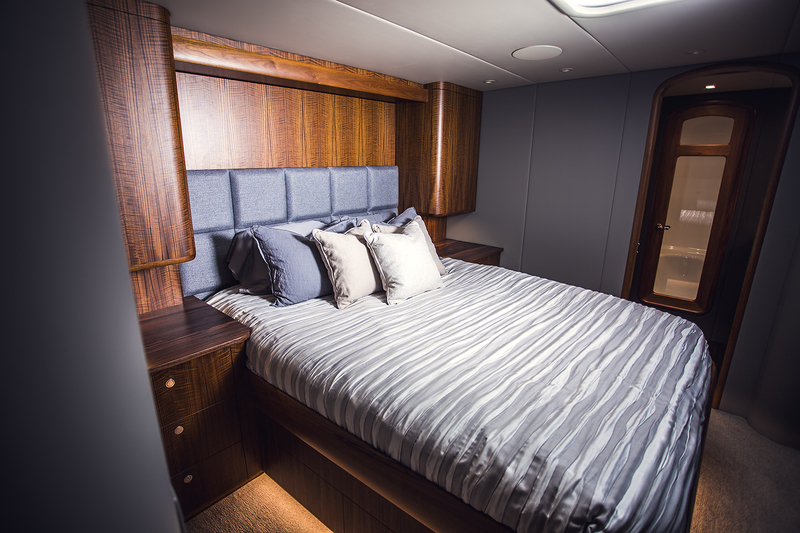 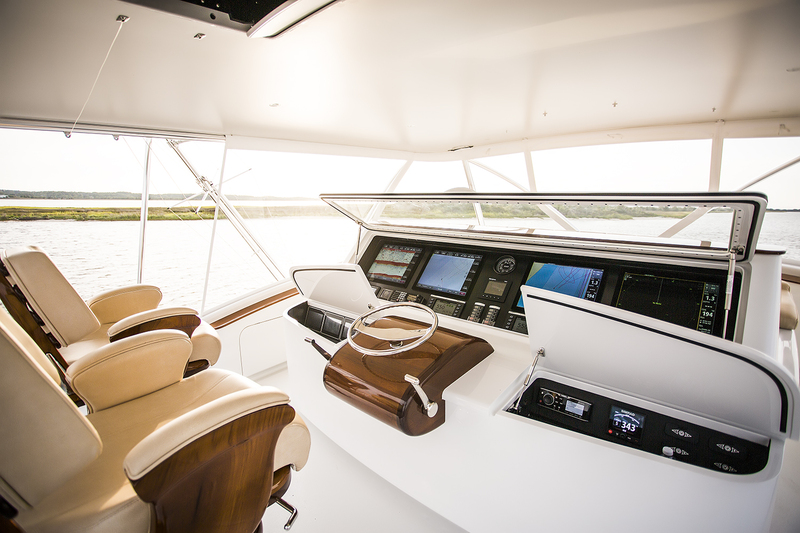 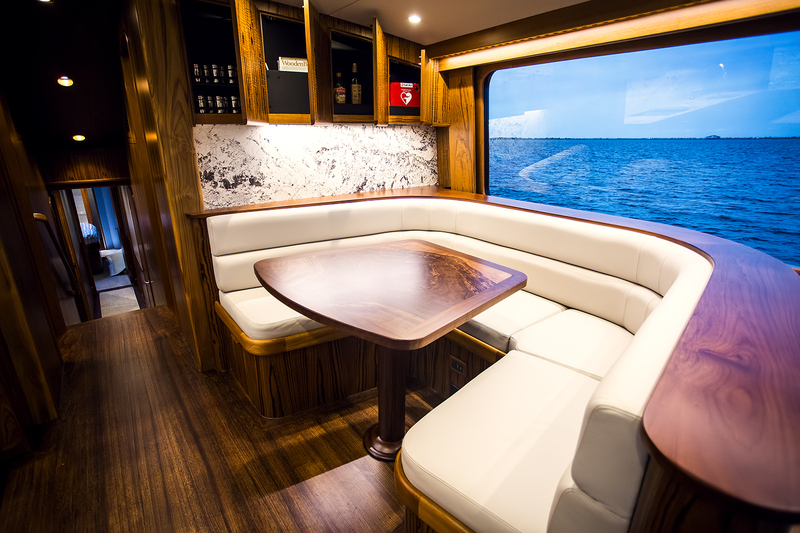 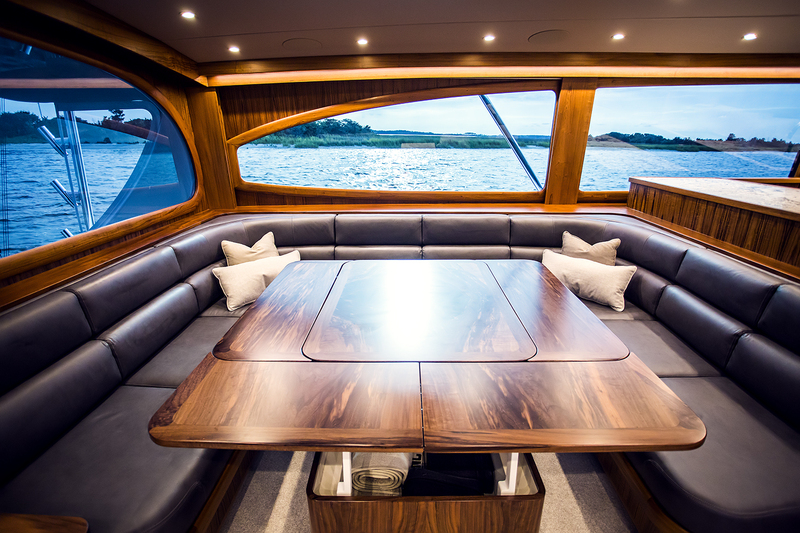 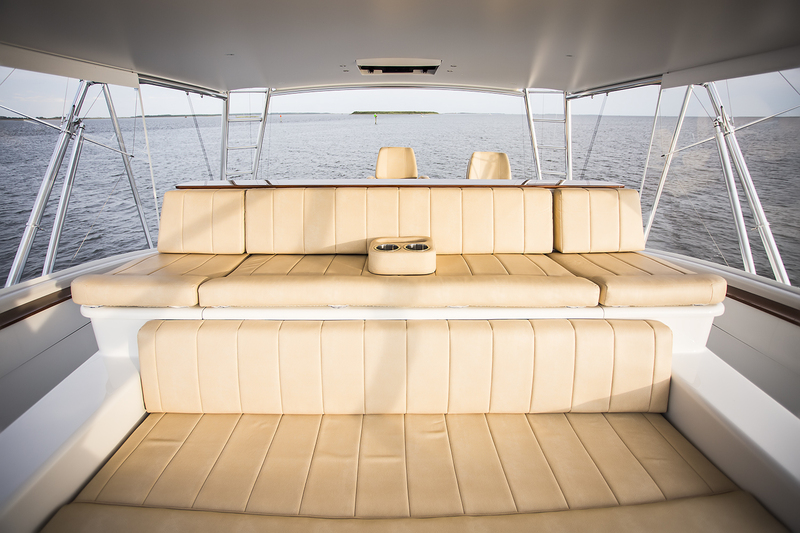 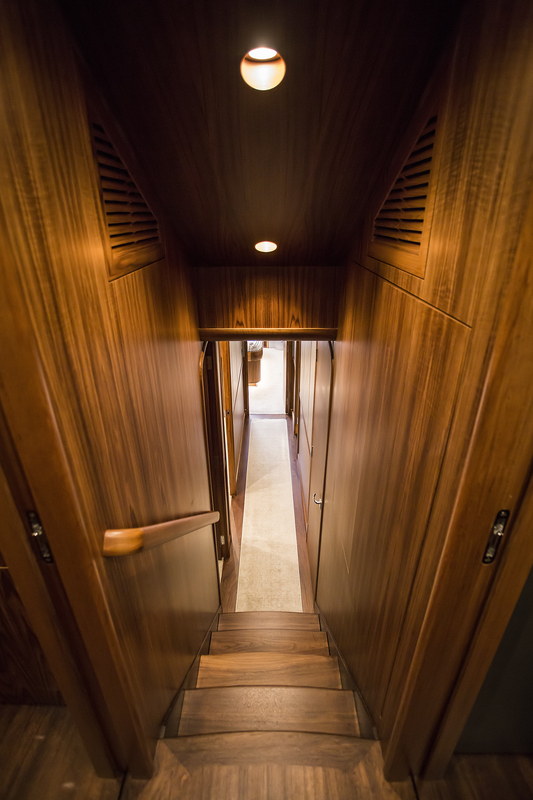 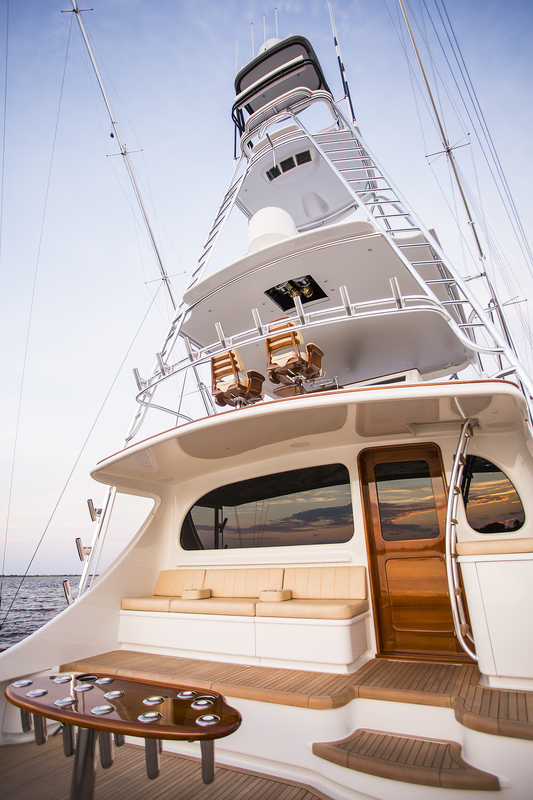 Flybridge: Center console layout with outboard rod storage port and starboard, Refrigerated drink box, Large chest freezer, Lower seating freezer.